Tardive dyskinesia (TD) is a rare neurological disorder that can cause jerky, repetitive movements, trouble speaking and other side effects. Although it’s considered rare, TD affects more than 500,000 people in the U.S. This condition is a potential side effect of certain medications used to treat mental illnesses. There are some treatment options available, but it’s important to learn how to live with TD. Whether you’ve recently been diagnosed with TD or you’ve been living with TD for years, here are six tips to help you manage your tardive dyskinesia diagnosis. You are not alone in your TD diagnosis. After you’re diagnosed with TD, build a support group to help you manage this condition well. Ask your psychiatrist to help you connect to local resources, including support groups for people with TD. The National Organization for Rare Disorders provides a list of organizations that may be helpful for TD patients. Amber Pharmacy patients can speak with our Certified Case Manager for information about resources available to people living with TD. Your friends and family can also be an important part of your TD support group. Surround yourself with people who can help you live well and manage your TD. It’s easy to get caught up in the stress of living with TD, but make sure to prioritize rest and relaxation. Stress and fatigue can make it harder to manage your movements. Get a good night’s sleep, find healthy ways to manage your stress levels and take time to practice self-care. It may be helpful to develop a routine for bedtimes, mealtimes and relaxation during your day. 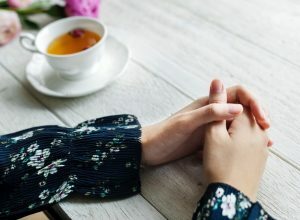 If you’re in a tense situation, it can be helpful to take a few moments to calm your nerves and collect your thoughts. Don’t be afraid to excuse yourself from stressful situations, such as large family events. If you’re having trouble managing your stress levels after your TD diagnosis, be sure to talk to your psychiatrist. After your TD diagnosis, it’s helpful to develop a good relationship with your pharmacist. If you have questions about your medications or medication side effects, it can be easier to ask for help when you’re comfortable with your pharmacist. It’s nice to work with someone who has been with you throughout your treatment journey and is familiar with your health history. Be sure to tell your pharmacist about all your medications, including over-the-counter medications and any supplements you’re taking. This way your pharmacist has a complete picture of your medication profile. Your pharmacist at Amber Pharmacy will look for potential drug interactions and help you manage any potential side effects. The clinical pharmacists on Amber Pharmacy’s Rare Disease Center of Excellence have years of experience helping people manage their TD medication, so they may be able to make recommendations about your medication therapy. The pharmacists at Amber Pharmacy will coordinate with your entire healthcare team, including your psychiatrist and your neurologist, to help you achieve the best outcomes. Help your friends, family and loved ones understand your TD diagnosis. Many people don’t know what TD is. They may not understand why you are experiencing new or different behaviors, such as jerking leg movements or difficulty speaking. TD is a serious medical condition, so don’t be ashamed or embarrassed. Be prepared to answer frequently asked questions about TD causes, symptoms and treatment. Educating your friends and family about TD can help them know how to support you after your TD diagnosis. It’s normal to have good days and bad days when you’re living with TD. However, you can’t let your highs and lows interrupt your medication schedule. Always take your medications on time and as prescribed. In order for your medications to be most effective, you have to take them correctly. Taking the right dose, on the right schedule is an easy and important way to help you get the most benefit from your medications. Tell your pharmacist at Amber Pharmacy if you’re having trouble with medication side effects or if there are other reasons that prevent you from taking your medication. If you are taking medication to treat a mental illness, ask your psychiatrist if TD is a potential side effect. Learn to recognize the symptoms and work closely with your psychiatrist, your pharmacist at Amber Pharmacy and your entire healthcare team to manage your TD diagnosis. The Rare Disease Center of Excellence at Amber Pharmacy is familiar with the unique challenges of helping patients manage TD. Our experienced team members understand the nuances of the medication used to treat this complex condition. If you have questions about managing TD, talk to Amber Pharmacy’s Rare Disease Center of Excellence. We’ll coordinate with your psychiatrist and walk with you through every step of your treatment journey.